As both medical and recreational marijuana use becomes more widely accepted throughout the state, California employers need to check to ensure their policies are violating their employees’ rights. The Adult Use of Marijuana Act (Prop 64) was voted into law on November 8, 2016, effectively legalizing recreational marijuana use throughout the entire state. However, the California Bureau of Cannabis Control only began to issue licenses to commercial marijuana dispensaries in January of 2018. Since then, thousands of recreational dispensaries have been issued licenses, allowing more Californians to have access to marijuana for recreational usage. Marijuana usage, whether for medical or recreational purposes, creates some concerns for employers in California. While Prop 64 explicitly states that California employers can “enact and enforce workplace policies pertaining to marijuana” and have “policies prohibiting the use of marijuana by employees and prospective employees,” courts are still working out the gray areas of legalization. Employers in California are not required to accommodate medical or recreational marijuana use in the workplace, but they should be careful when policing off-duty usage. as part of required random testing of employees in specific regulated industries or in positions critical to public safety or the protection of life, property or national security. 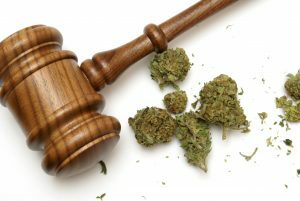 The complexity of marijuana laws may raise concerns for California employers, but that doesn’t mean they shouldn’t enact policies that prohibit the use of drugs and alcohol in the workplace. According to recent statistics, employees who test positive for marijuana have 55 percent more industrial accidents, 75 percent higher absenteeism and 85 percent more injuries than those who test negative for the drug. Employers do have the right to maintain a level of safety in their workplace, for the health of all employees and for the health of their business. Rather than focusing on drug testing employees at random to catch them off guard, employers should focus on safety as a whole. Testing can be done if there is reasonable suspicion, or if an accident occurs in the workplace. Of course, drug testing is also permitted as part of a pre-employment screening, but it may not always give the employer the most accurate result and could open them up to employment claims if not handled properly.